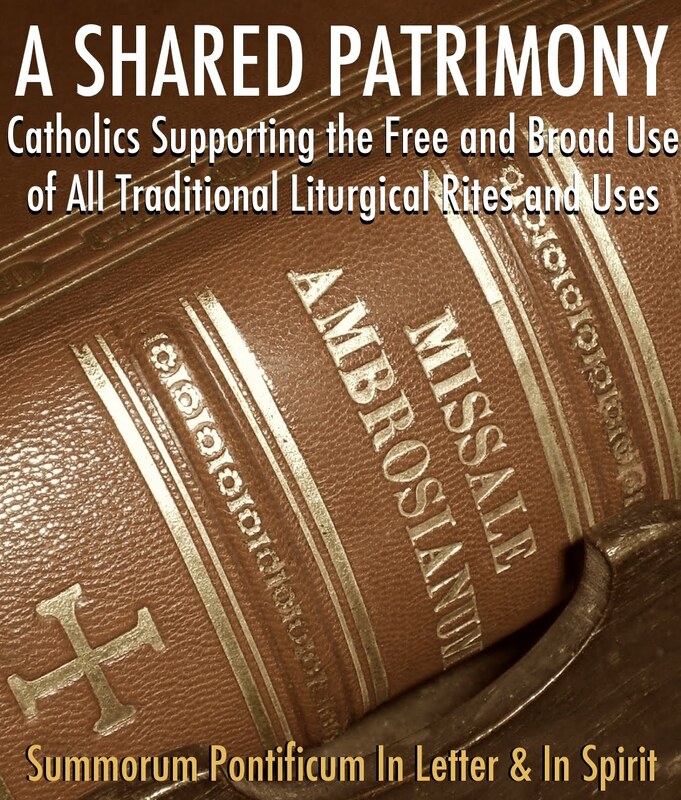 The New Roman Missal in the U.K. 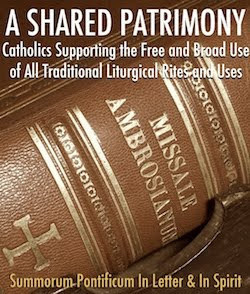 If you support the principle of preserving and fostering the treasures of our liturgical tradition, as expressed not only in the free and wide use of the ancient Roman liturgical books, but also in the free and wide use of the traditional liturgical books of the Religious Orders (Dominican, Carmelite, Carthusian, Premonstratensian, Cistercian) and the Primatial Sees (Milan, Braga, Toledo, Lyons), why not post this graphic on your blog or website? Let's express our interest in and support for the Roman liturgical patrimony as well as for our broader Catholic liturgical patrimony; let's express our support for unity in liturgical diversity; let's express our support for those who wish to use these liturgical books.